Turmeric is a powerful anti-inflammatory herb that’s been used for centuries to treat a variety of ailments. This root, which is a cousin to ginger, is native to Southeast Asia and sometimes called “Indian Saffron” because of its beautiful golden color. Turmeric’s active compound, curcumin, has been extensively studied for its disease-fighting potential and preventive health benefits. Turmeric first found its way onto my radar back when I was a nutrition student volunteering where I had the opportunity to shadow an integrative medicine doctor for six months in an HIV clinic. An infectious disease M.D., she incorporated complementary and alternative approaches into her patients’ care plans. The results were amazing, and the patients loved being able to turn to food to assist them with managing their conditions. What I learned there about real-life ways of working healing foods into the diet gave me a strong foundation for what I help my clients with now. 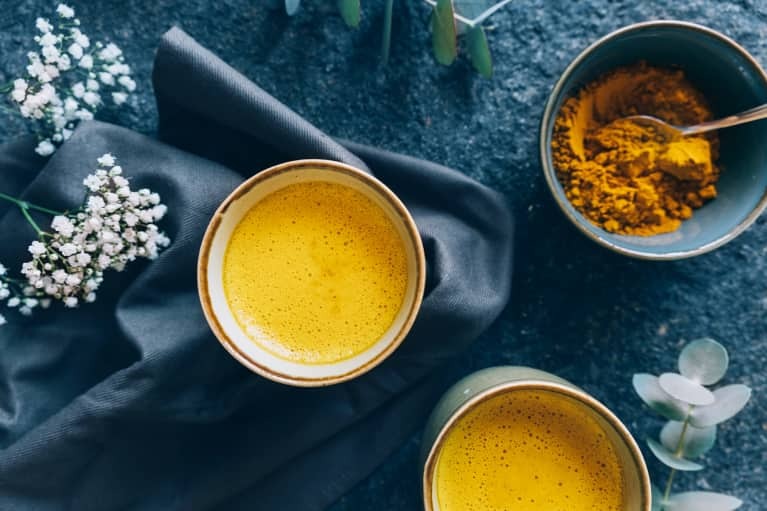 If you’ve done even a little clicking around the wellness corner of the internet, you’ve likely encountered articles about turmeric and its awesomeness, but knowing how to actually fit it into your everyday life? Not always so obvious. 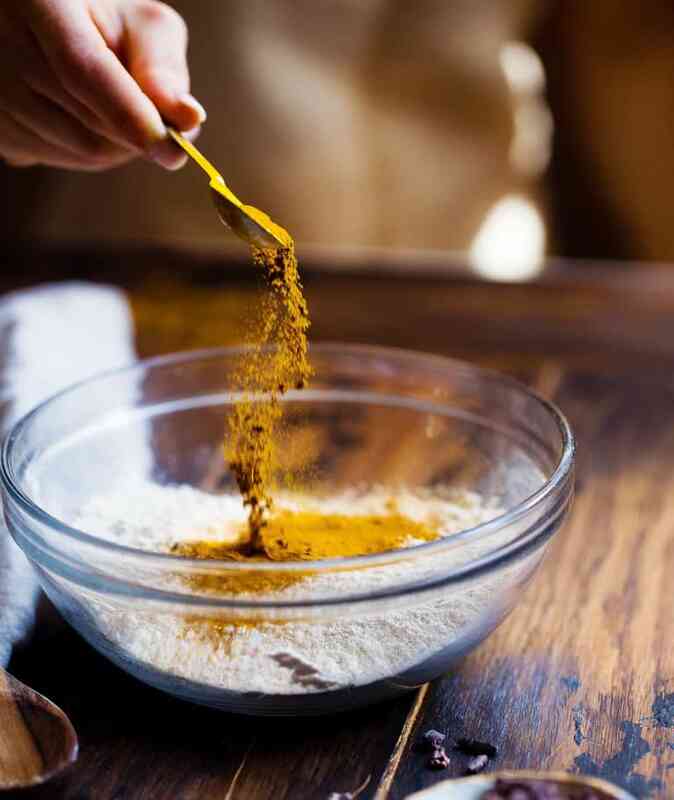 While many studies focus on very concentrated preparations of curcumin in powder, tablet, or extract form intended for therapeutic dosing, eating turmeric as part of your day-to-day diet can be the best way to enjoy those benefits. Read on to learn more about how to use turmeric to boost your health and wellness. Inflammation is a root cause of many health conditions like metabolic syndrome, heart disease, and even cancer. Inflammation has also been shown to play a role in cognitive decline. Turmeric’s powerful anti-inflammatory properties offer a protective benefit. To make it easy to add in, use turmeric in a go-to salad dressing. I love to whisk together white miso paste, tahini, apple cider vinegar, and turmeric—simply delicious and powerful. Get my favorite turmeric salad dressing recipe here. Curcumin’s anti-inflammatory, antioxidant, and antimicrobial properties make it a health-promoting powerhouse. While curcumin is not absorbed that well into the bloodstream, consuming it with black pepper enhances absorption, thanks to a substance in the pepper called piperine. One of my favorite remedies I learned at the clinic was a cold-fighting tea with ginger and black pepper. Add one teaspoon of turmeric to 12 ounces of water and bring to a boil. Take the water off the heat and add one-quarter teaspoon each of ground ginger and black pepper. You could also make this into golden milk by using coconut milk instead of water. Since curcumin is fat-soluble, consuming it with a fat-containing food or beverage helps you absorb it more effectively. Turmeric and curcumin have been studied extensively for their role in the treatment and prevention of various types of cancer, with many promising findings in animal and human studies. Turmeric is a natural pairing for a cancer-fighting plant-based dish. Mix turmeric, ginger, cinnamon, cloves, cumin, and black pepper with olive oil and toss with chickpeas. Roast at 350°F until crispy (about 20 minutes) and enjoy over a salad or veggie-rich soup. Though we often associate turmeric with spicy foods, it has actually been used to treat inflammatory bowel conditions like colitis. Try it in a gut-soothing soup using organic chicken bone broth as the base. Turmeric also happens to be a low-FODMAP food, so it’s safe to use if you’re on a FODMAPs elimination diet. It pairs well with pureed kabocha or pumpkin, which are also low-FODMAP.